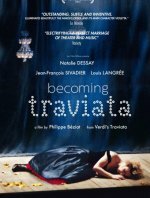 Becoming Traviata release date was Wednesday, May 15, 2013. This was a Limited in theaters release. Following world famous French soprano Natalie Dessay from the first repetitions until the premiere under the direction of Jean-Francois Sivadier, we meet a very special woman, a piece of art, a myth: La Traviata. 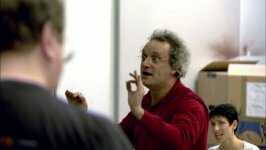 Director Béziat, known for his innovative documentaries on classical music, trains his cameras on a 2011 production of La Traviata helmed by celebrated stage director Jean-François Sivadier. We get a behind-the-scenes look at such areas as set design and musical direction, but the heart of the film is the intense collaboration between Sivadier and charismatic soprano Natalie Dessay.